Get Ready for the Stampede! The 41st Annual Capital City Stampede is Saturday at 9am. This is another CVR/ORO Race Series event. We bill it as Vermont’s fastest 10K. So come out for a PR and get another Race Series race in the books. Registration is in the City Center lobby. Speaking of which the Race Series standings are on the website now through the last race (Barre Town). Four races down, eleven more to go. Remember the best six count. 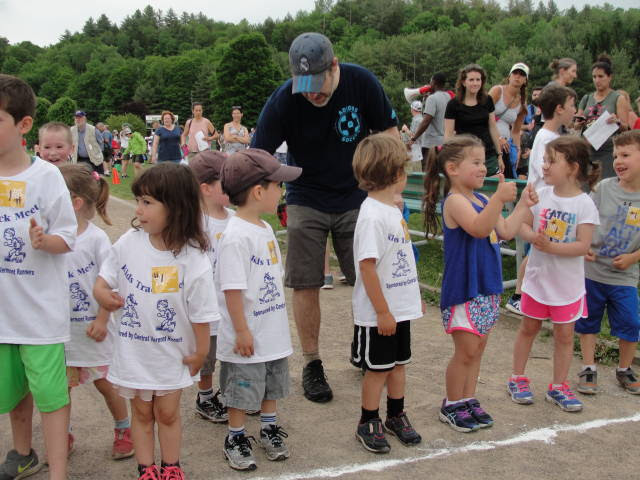 Dot Helling and Sandy Colvin reported a successful 22nd Annual Kids Track Meet. Despite some tricky weather at first, everything went smoothly and while turnout was down, over 140 kids had a lot of fun. Here is a link to the Times-Argus for lots of photos: https://timesargus.smugmug.com/Feature-Photos/Kids-Track-Meet/. Sunday, July 15. We have reserved the picnic shelter at Boulder Beach in Groton. In the afternoon there will be activities such as swimming, hiking and possible preview of the upcoming Groton Forest Trail Race course. Plan for a cookout later in the afternoon, pot luck style. If you (or someone you know) is an accomplished grill master, we would like your services at the summer outing. We need two grill masters. There are grills at the picnic shelter but if you are willing to bring your own that would be better. CVR has some budget to provide a limited amount of meat to cook. Most of the cooking will be for (or by) folks bringing meat or veggies. The grill master will be in charge of cooking and/or coordinating the grill space. Also, we are looking for help/suggestions in coordinating activities at the outing, particularly with kids. If you have ideas or feel called to help, please let me know. The one mile classic is back again, sponsored by Onion River Outdoors. Early registration is available at $15 adult and $5 under 12. 6pm on July 3rd before the parade. Let’s plan on another post-Fun Run evening at Julio’s after the June 19th Fun Run (in two weeks) . No need to RSVP. We’ll count the number interested before the run and call in a reservation. 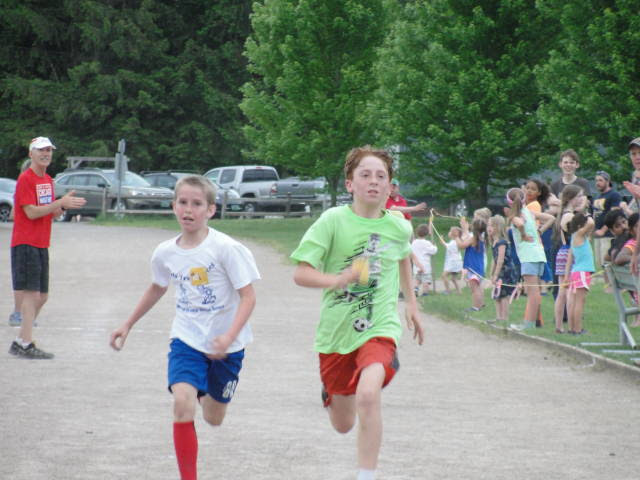 CVR Fun Run every Tuesday, May 1 to October, at 5:30 pm. Location: Montpelier Rec Path behind the VT Dept. of Labor on Green Mountain Dr.
** June 9, Capital City Stampede, see above. –>June 9, Hill Farmstead Half Marathon, Craftsbury VT, 9:30AM, run to the brewery and get a beer! –>June 16, NH-VT Covered Bridges Half Marathon & Relay, Colebrook, NH, 9AM. –>June 23, Basin Harbor 5K and 10K, Basin Harbor Club, Ferrisburgh. –>June 23, Central Vermont Medical Center 5 Mile Fun Run and Walk, 8:30AM, Berlin Pond. -**July 3, Montpelier Mile, 6pm.